This month we will have a special session of our GEMS Seminar Inspired by… with Master students, who will present the first outcomes of their master thesis, reflecting also on those thinkers by whom they are inspired. 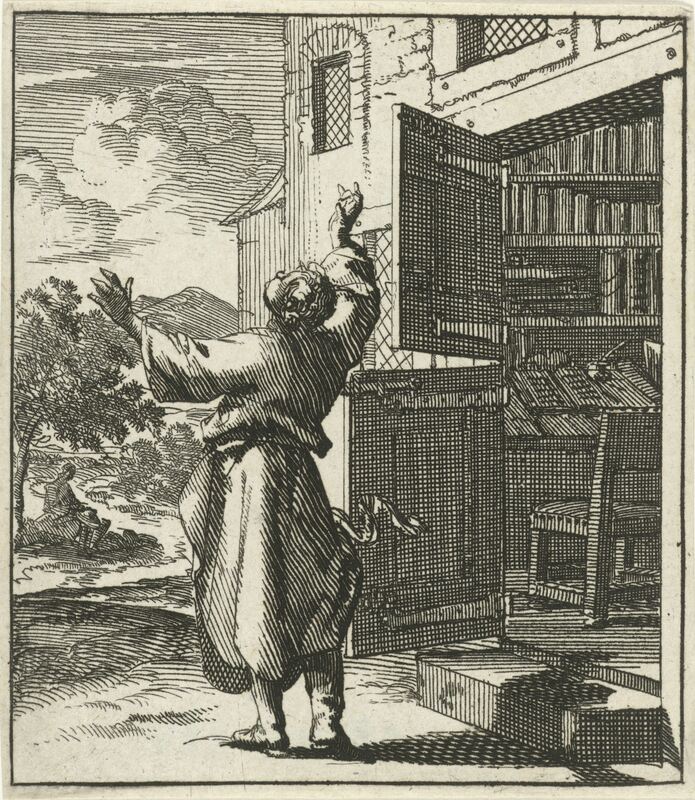 The historiographical construal of the relation between science and religion in terms of conflict has long posed a methodological crux in the study of early modern alchemy. To transcend this dichotomous model Kocku von Stuckrad proposes a model of interference that enables us to examine the junctures and mutual dependencies between cultural systems, such as religion and science. This model is especially fruitful when approaching early modern alchemy, a discipline that is often interpreted as either a semi-mystical religious pursuit of self-purification, or as an instance of antiquated science and technology devoted to the unlimited accumulation of wealth. My research moves beyond this debate and studies the reciprocal relation between theology and natural philosophy in early modern alchemy. To this end, I examine De Artificio Supernaturali (1594), a treatise written by Gerhard Dorn (c. 1530/5 – after 1584), an illustrious renaissance alchemist that has received little scholarly attention. Dorn’s alchemy and his alchemical practice serve as a focal point for investigating early modern notions of the precise relation of the physical and the metaphysical and how these two cohere in the alchemist’s expectations and self-understanding. Michael McKeon, one of the most influential theorists of the early novel, recently wrote a book on the now largely forgotten genre of the secret history and how its features gradually became domesticated in the novel. This thesis takes McKeon’s idea of the “privatization” of the secret history as its starting point and looks at how Eliza Haywood engages with the genre in her early fiction. Haywood has firmly been established as one of the key figures who helped shape the novel, but critics have become sceptical about how such teleological conceptions of the rise of the novel limit our understanding of her work. Instead, they argue for a more nuanced understanding of the wide variety of genres within which she experimented. This thesis begins to put into practice such calls by looking at how she interacts with the secret history. Haywood’s indebtedness to the genre has proven to be fruitful ground for critics who have tried to ascertain her political affinities throughout her career, but her less overtly political texts have largely escaped such analytical scrutiny. More specifically, then, I look at how she plays with its narratological complexities in such texts that are not usually considered secret histories, namely Fantomina (1725) and The Masqueraders (1724). In recent narrative theory we notice a tendency toward the transmedial studies, especially the notion of transmedia storytelling has attained success. This is a process in which integral elements of a fiction get dispersed systematically across multiple delivery channels for the purpose of creating a unified and coordinated entertainment experience, a transmedia storyworld. Inspired by the pioneering work of Marie-Laure Ryan in the field of transmediality and storyworld-theory, I would like to expand on this transmedia storytelling and transmedia storyworld in my thesis, since I believe that the purposely created unity, in which a “world” component is central, is too restrictive. I would like to hypothesize that representations of a certain narrative unit (/entity/existent), dispersed across different media, unintentionally create a fluid entity, that I will call transmedial narrative cloud. To test this hypothesis I will study the modern, transmedial representations of the Picaro-figure. During my presentation, I will thus critically review Ryan’s work and discuss her importance to my research, while illustrating this with picaro-representations of late 20th century. My thesis is about the role the cognitive sciences could play in the field of literary theory. Ever since the so-called ‘cognitive turn’ in literary studies, scholars have increasingly turned to the interdisciplinary field of cognitive sciences to analyse the expression and representation of emotions in literary texts throughout history. In my presentation I will reflect upon some of the different definitions of emotion that are currently in circulation within this field, some deriving from ‘affective science’ (the empirical study of emotions), others from a set of theories used by cultural scientists that is broadly referred to as ‘affect theory’. The thinker I will focus on more specifically is Antonio Damasio, a professor in neuroscience, who writes about the narrative nature of consciousness. In both Descartes’ error (1995) and The Feeling of what happens (1999) Damasio describes emotions as physical states arising from the body’s response to external stimuli. In his work he presents a theory about causal sequences, series of events that cause physical reactions we can feel and reflect upon. This process is, in his view, narrative by nature and plays an important role in the construction of our sense of self. Relying on Damasio’s work, I want to examine how the cognitive sciences could be used in the study and analysis of historical texts, meanwhile also posing the question how the study of literature might contribute to our understanding of the history of the human mind. On 31 May, GEMS will organize its first Research Day in cooperation with RELICS. During that day, we will discuss together some topical questions concerning the state of scholarly research today, especially in regard to issues that concern younger scholars, like the current state of PhD and postdoc research, publishing strategies and more in general about what actually motivates us in doing research and which role research plays in our lives. Anyone who is interested in these issues is invited to take part in the morning and/or afternoon programme of this research day, with a workshop about PhD research in the morning and a panel discussion and interview with Kate Belsey in the afternoon, about publication strategies and the state of scholarship in 2018. PLEASE REGISTER for this research day by conforming your attendance to: gems_ugent@yahoo.com Please indicate in your message if you would like to take part in the morning programme, the afternoon programme, or both. 14:00-15:30: Publish or publish? Panel discussion with: Neil Badmington (Cardiff University, author and journal editor Barthes Studies), Tiffany Bousard (journal editor Early Modern Low Countries), Erika Gaffney (publisher Amsterdam University Press) and Teodoro Katinis (UGent, author). The panel will discuss, from different perspectives (authors, journal editors, academic publishers), different issues that determine the current publication culture in humanities scholarship. How do publishers go about in their selection of books and edited collections? 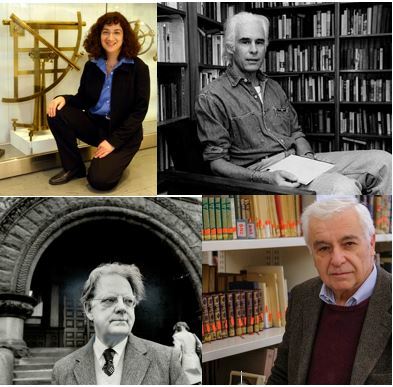 Which advice can they give to young scholars new to the scene? How do publishers and journal editors deal with peer-review processes, with electronic publications, with Open Access requirements, with the bibliometric ‘imperative’,…? What advice can experienced scholars, who have published internationally, give to younger scholars in the field, with respect to article submissions and/or book proposals? Research forms a substantial component of an academic’s duties and takes up the majority of a PhD student’s time. It is easy to take this for granted. But what do we mean by research and why do we allot it a major role in our lives? In an informal discussion chaired by Prof. Catherine Belsey, questions might include the following. What motivates research? Curiosity, fame, promotion, changing the world? Does research in the humanities make a difference? If no further research took place in our field, would it matter? If so, why? Does research influence teaching? Does teaching influence research? Or are the two skills independent of one another? Since they compete for attention, are they in conflict? Where does a research project start? From a puzzle, a hypothesis, desire for a fuller picture, discontent with existing views? What defines good research? In April we will have a special session of our GEMS Seminar Inspired by… with Master students, who will present the first outcomes of their master thesis, reflecting also on those thinkers by whom they are inspired. Historical research on cometary science has received modest attention in the past twenty years, due to the excellent case studies it provides for research in the history of science and religion. One of the people who launched comets as objects of historical research is Sarah Schechner. She showed us how early modern scientists like Isaac Newton and Edmond Haley did not deny the divine character of these celestial objects, but in fact incorporated them in their own cosmological theories. Inspired by her work I will present my findings concerning the comet of 1652 as it has been described and interpreted by Arise Evans, William Lilly and Richard Fitzsmith. I put forward the thesis that comets can be perceived as a ‘liminal object’, flexible enough to mean different things within the same text but robust enough so it remains essentially the same object representing those different identities. This thesis discusses Torquato Tasso’s use of historiography in his epic poem the Gerusalemme liberata (1581), which describes the Christian army’s conquest of Jerusalem during the First Crusade (1095-1099). The army, under the guidance of Godfrey of Bouillon (1060-1100), is aided by Heaven and opposed by Saracens and demons. Through a thorough reading of William of Tyre’s Historia Ierosolimitana (1184), Tasso’s principal source of the First Crusade, and the Liberata itself, my dissertation tries to ascertain whether something new can be said about Tasso’s modus operandi or whether new interpretations of his poem are possible. Instead of considering ‘random’ episodes that demonstrate William’s chronicle’s influence, the thesis tackles three themes: Christian and Muslim leadership, Pagan magic and Christian meraviglioso (marvellous), and conflict management. My work attempts to find some motives of Tasso’s modus operandi through a coherent thematic narrative and through the examination of Tasso’s concrete choices. The finding of these motives is not only achieved by considering where Tasso follows William’s chronicle, but also by discerning his originality. In considering this originality, my thesis was inspired by Piero Floriani’s article, “Per una Gerusalemme commentata. Esercizio su cinque (sei…) ottave del poema tassiano” (2003). Both Tasso’s rewriting history and his originality constitute, after all, his poetical working method. “Þe best boke of romaunce”, Sir Gawain and The Green Knight’s nuanced image of chivalry has made it a favourite for critical study. Yet, the poem is not only nuanced, it is also highly ambiguous. If read as a ‘classical romance’ in the tradition of Chrétien de Troyes and his disciples, the text presents us with many problematic elements; we encounter many ambiguities in form and content which in their turn lead to ambiguities in interpretation. Since simply stating SGGK is a romance appears to create a host of problems, it is the object of this study to problematize just exactly what sort of text the poem is. This generic exercise is especially relevant to SGGK since its author himself seems highly aware of the qualities and expectations certain kinds of texts, such as romances, bring with them and he appears to use these expectations as strategies to construct an intelligent text that engages with its audience. This approach places my research squarely in the field of genre studies, a field which was not created but severely influenced by Canadian critic Northrop Frye. With Anatomy of Criticism (1957), he was the first to construct a nuanced system for engaging with the concept of literary genre. While by today’s standard, Frye would be – and has been – criticised for being too prescriptive, his thoughts on genre still influence and inspire many researchers, amongst which myself. Therefore, I will try to shed light on what exactly it is that makes Frye’s approach to genre so seminal. In the first part of my presentation, I will shed some light on the scholarly importance of Alan Sinfield, a British literary critic who is listed as one of the standard-bearers of Cultural Materialism, a critical practice which is closely related to New Historicism. In the second part of my presentation I will focus on the research I am doing in my MA thesis, for which Sinfield’s book Faultlines (1992) serves as a huge source of inspiration. In the Anglo-Saxon world, New Historicism and Cultural Materialism have lost most of their newness and have become what Raymond Williams would call ‘residual’. 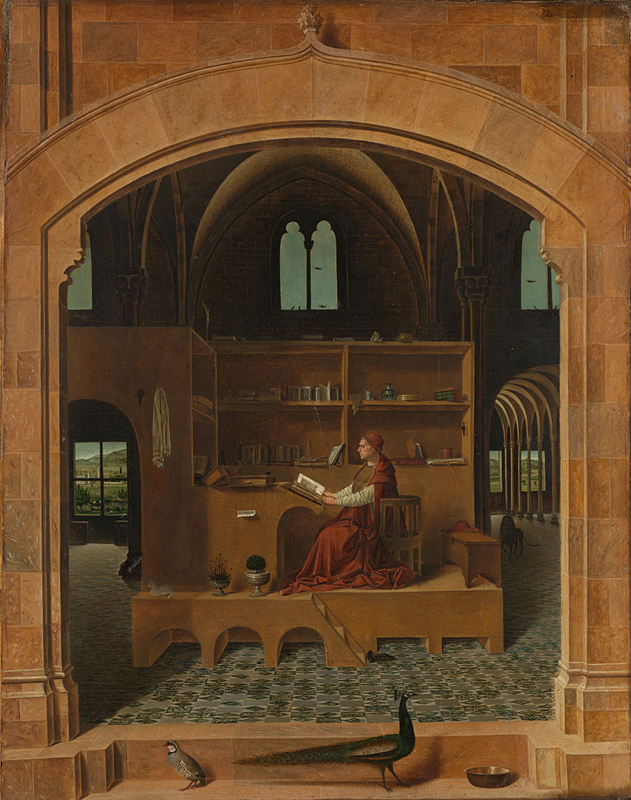 In Dutch Renaissance studies however, these reading practices still do not seem to find entrance or even acceptance. The critical practice which still prevails in Dutch literary criticism is what Greenblatt would define as ‘Old Historicism’. In 2011, professor Pieters wrote an inspiring book in which he investigates which methodological assumptions have to change in order to be able to talk of a ‘Dutch New Historicism’. My research is in line with that of Pieters, since it is my aim to take the first tentative steps towards a concrete elaboration of a ‘Dutch Cultural Materialism’. To that purpose, I take the genre of the early modern Dutch revenge tragedy as my research object. GEMS is proud to present the programme of this year’s Histories and Theories of Reading Seminar. 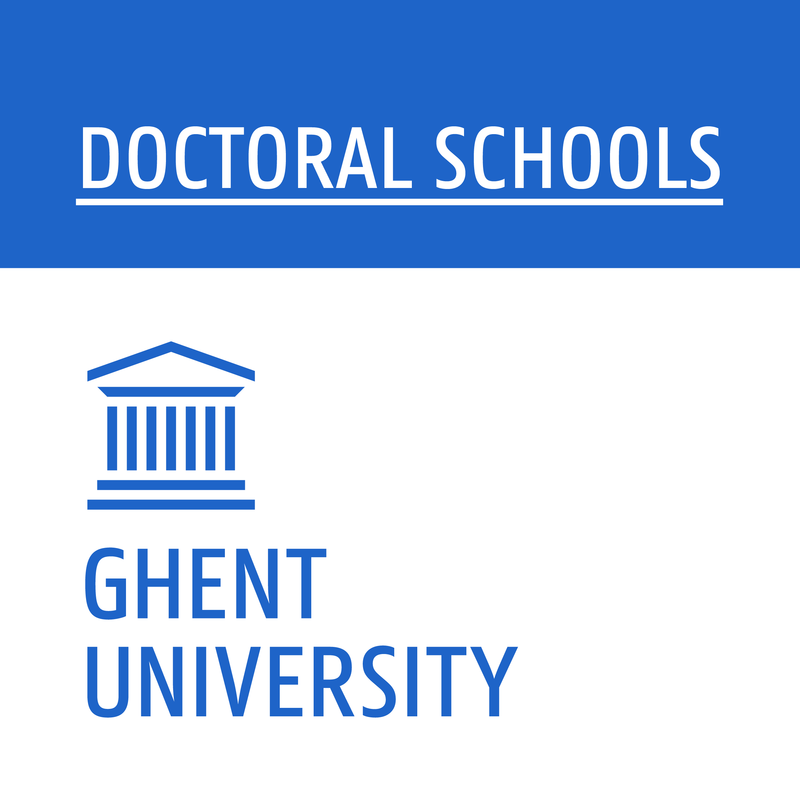 The Seminar is funded by Ghent University’s Doctoral School-programme (Humanities and Law) and is open (and exclusively so) to PhD-students. Those of you who want to participate, please get in touch with jurgen.pieters@ugent.be. Students will earn a credit by participating in (at least) three out of six sessions. Below are the details of the programme (the dates for the spring semester have been finalised) and a description of the format. The specialist course consists of a series of seminars that cover a period from January 2018 to December 2018. As in the previous three successful series, each seminar focuses on the work of one of six eminent international literary scholars who play a leading role in the disciplines of literary and cultural theory and literary and cultural history and have made important theoretical and conceptual contributions to their respective disciplines and to the historiography of both the central object of study (literary writing) and the disciplinary attempts at writing its history. Each of the scholars central to the seminar are, first and foremost, experts in their disciplines and specialists of a particular literary historical moment (ranging from the early modernity to the twentieth century). We aim for a good mixture of senior and more junior scholars: some of our guests are internationally renowned leading figures (Belsey, Korsten, Schiffman) while others have the potential to rise to that fame (Badmington, Galvez, Marno, Parvini). The aim of the seminar is to provide both an in-depth discussion of the past research and work in progress of the particular scholar as well as a reflection on emerging concepts, theories and approaches in the disciplines of literary and cultural theory and literary and cultural history. In addition to the thematic interests of the invited scholars, we will also draw on the conceptual approach of each individual scholar. In this way, the specialist course is not only of added value to PhD students specialized in the particular discipline or historical moment of the invited scholar, but also to any PhD student dealing with (literary) texts or concepts in his or her research. The specialist course is divided into six seminars with the international specialists that we have invited. Each seminars consists of two sessions: in a first session (3 contact hours) the selected texts by the invited speaker will be discussed under the guidance of one of GEMS professorial or postdoctoral staff. These texts are chosen by the invited scholar in consultation with the organisers of the specialist course and will run up to a maximum of 150 pages per seminar (our guests are asked to select five ‘texts’). The texts will be circulated among the participants a few weeks prior to the first session. The goal of this introductory discussion (supervised by one or more of the GEMS-co-ordinators) in the first session is to prepare the participating PhD students for the conversation and discussion with the invited scholar in the second session. Additionally, at the end of this first session each participant is asked to prepare and formulate one major question regarding the research of the invited scholar in relation to the participant’s own PhD research. These questions will be further formulated in writing in the days of the session and will be circulated among the participants before the session with the invited scholar. They will help structure the conversation in the second session. During this second session (3 contact hours), which takes place approximately a week after the first, the invited scholar will give a short introductory presentation on his past, current and envisioned work. This presentation or talk will form the basis for a thorough exchange between the scholar and the participants. During the exchange the participants will have ample of opportunity to pose their prepared questions and discuss further questions that rise up during the conversation. This method of operation allows the participating PhD students not only to develop and deepen their expertise in the research field but also to practice asking and formulating critical questions and participating in scholarly debates. These skills will undoubtedly prove valuable in their research career at scholarly symposia, roundtable discussions and conferences. As the seminars are conducted in English, the specialist course also offers an occasion to practise their language proficiency in ‘academic English’. Theme: The future of historicism – ‘beyond’ the New Historicism. Theme: early-modern poetry and its relations to religious history – the genealogy of aesthetic criticism. Theme: the heritage of post-structuralism and the future of literary and cultural studies – what is the value of criticism today? 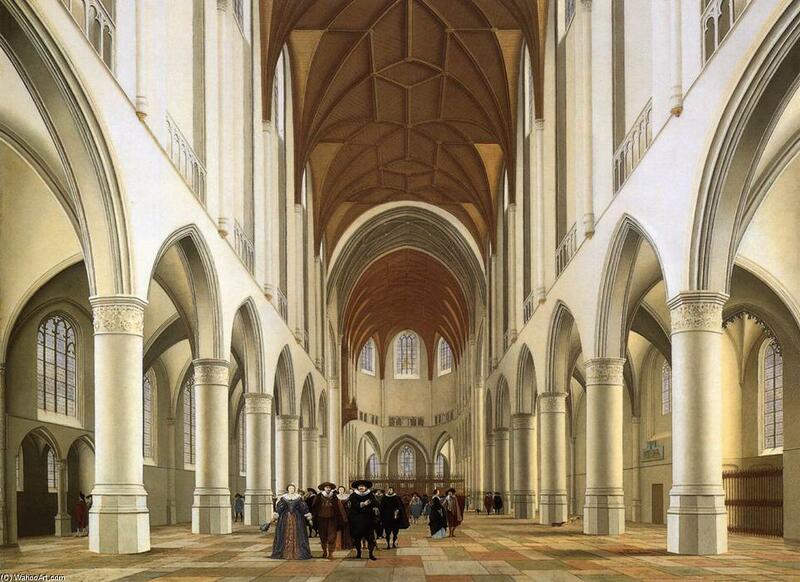 Theme: towards a new form of cultural history – specific case: the Dutch Golden Age. 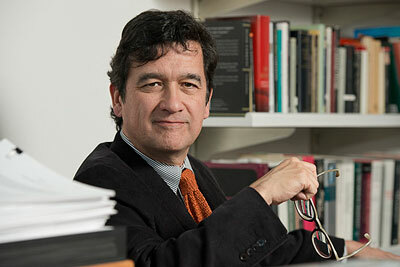 Thursday, 25 January, 10-12 AM, Faculty Library Arts and Philosophy, Magnel wing, Room “Freddy Mortier”. Fabio della Schiava (UGent / KU Leuven): Toward a critical edition of Biondo Flavio’s Roma instaurata. Published in 1446 by Biondo Flavio, one of the most distinguished historians of the Italian Quattrocento, Roma instaurata is an account in Latin of the archeological remains of ancient and christian Rome. 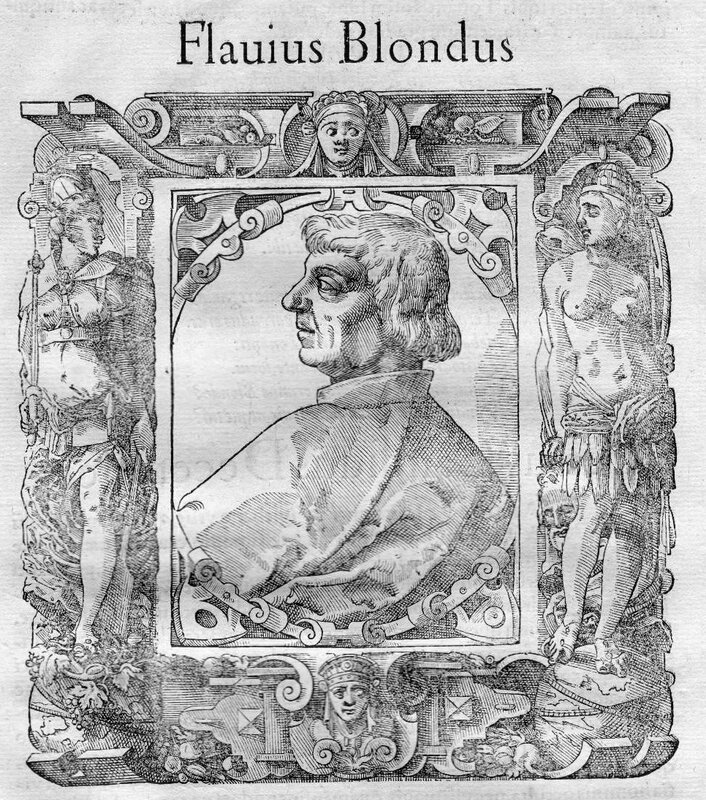 Because of its centrality both for scholars of Humanism and Archeology, Roma instaurata has been repeatedly published between the Fifteenth and the Twenty-first century but still lacks a critical edition able to provide the reader with a reliable text and a better knowledge of Biondo’s antiquarian methodology. This edition has been now partially accomplished thanks to a 3 years project sponsored by the Deutsche Forschungsgemeinschaft and undertaken at Bonn University. The paper aims to share the results of this research with a focus on the philological problems which have been encountered and the applied methodology to solve them. 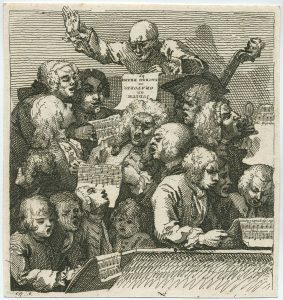 This PhD project investigates how songs can have contributed to the development of a national consciousness in the Northern Netherlands in the late 18th and early 19th centuries. At this time, national thinking just began to develop and was particularly hard to define in a culturally fragmented region like the Netherlands that went through severe economic, political and social crisis. Songs were in Early Modern discourse seen as effective tools to strengthen the formation of collective identities. Therefore, they are in this research not considered as mere textual and musical representations of an ideology, but as scripts for performance that produce collective identification. The focus is on the possible tensions between songs as attempts to create feelings of national belonging and unity on the one hand, and the realization of these aims in the harsh reality of political and social instability. The GEMS Seminars provide the opportunity to members of our research group and other scholars with an interest in the early modern period to meet and discuss current research issues. In the schedule on our website (gemsugent.wordpress.com) you will find two categories of these meetings. First there are the Ateliers during which GEMS-members or guests present their research projects, recent publications or ideas for future projects. Who is interested to spotlight his or her current or future research projects during one of these meetings are cordially invited to get in contact with the organization (cornelis.vanderhaven@ugent.be). Secondly we will have two meetings with specialists of the early modern period who will introduce to you the work of a famous scholar by whom they are inspired in their own scholarly work (Inspired by…). GEMS-members do not need to register for the seminars. Colleagues with an interest in the early modern period who are not a member of GEMS can join us too (after a short notice to: cornelis.vanderhaven@ugent.be, because of the limited space in the reserved rooms). During this GEMS seminar, Teodoro Katinis will present Robert Klein (1918-67), his work, and his unique approach to the cultural phenomena of the Italian Renaissance and beyond. 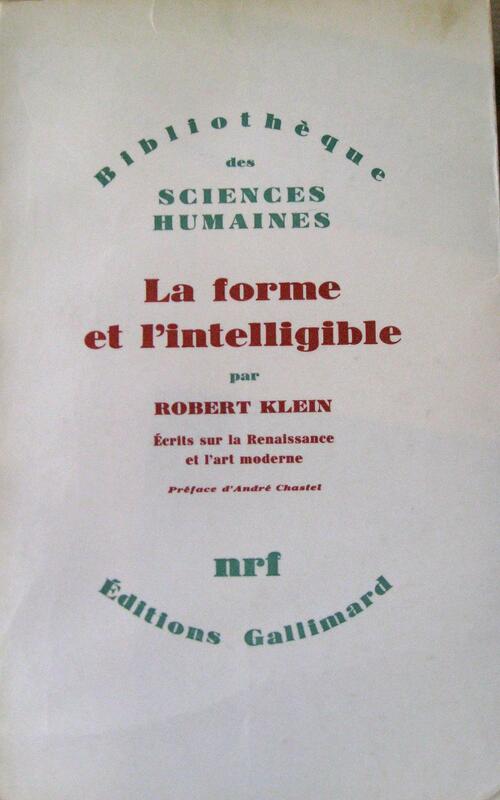 We will examine Klein’s methodology by reading one of his most inspiring essay, L’imagination comme vêtement de l’âme chez Marsile Ficin et Giordano Bruno, in which he combines in a most original way his analysis of the sources with his own interpretation of the Renaissance. Discussing some of his research outcomes, Katinis will show how Klein’s research topics and method can be inspiring for scholars from different fields. The GEMS Seminars provide the opportunity to members of our research group and other scholars with an interest in the early modern period to meet and discuss current research issues. In the schedule on our website (gemsugent.wordpress.com) you will find two categories of these meetings. First there are the Ateliers during which GEMS-members or guests present their research projects, recent publications or ideas for future projects. Who is interested to spotlight his or her current or future research projects during one of these meetings are cordially invited to get in contact with the organization (cornelis.vanderhaven@ugent.be). Secondly we will have two meetings with specialists of the early modern period who will introduce to you the work of a famous scholar by whom they are inspired in their own scholarly work (Inspired by…). Colleagues with an interest in the early modern period who are not a member of GEMS can join us too (after a short notice to: cornelis.vanderhaven@ugent.be, because of the limited space in the reservated rooms). During this Atelier, Frans-Willem Korsten will present his new book A Dutch Republican Baroque (Amsterdam UP). After a short introduction about this new publication and how it came into being, the author will be interviewed by Jürgen Pieters, to discuss some of the key issues raised in his thought-provoking book, after which the audience will be invited to join the discussion. In his book, Frans-Willem Korsten shows how in Baroque forms of art of the Dutch Republic, two aesthetic formal modes, theatre and drama, were dynamically related to two political concepts, event and moment. The Dutch version of the Baroque is characterised by a fascination with this world regarded as one possibility out of a plurality of potential worlds. It is this fascination that explains the coincidence in the Dutch Republic, strange at first sight, of Baroque exuberance, irregularity, paradox, and vertigo with scientific rigor, regularity, mathematical logic, and rational distance. In giving a new historical perspective on the Baroque as a specifically Dutch republican one, this study also offers a new and systematic approach towards the interactions among the notions of theatricality, dramatisation, moment, and event: concepts that are currently at the centre of philosophical and political debates but the modern articulation of which can best be considered in the explorations of history and world in the Dutch Republic. The GEMS Seminars provide the opportunity to members of our research group and other scholars with an interest in the early modern period to meet and discuss current research issues. In the schedule on our website (gemsugent.wordpress.com) you will find two categories of these meetings. First there are the Ateliers during which GEMS-members or guests present their research projects, recent publications or ideas for future projects. Who is interested to spotlight his or her current or future research projects during one of these meetings are cordially invited to get in contact with the organization (cornelis.vanderhaven@ugent.be). Secondly we will have two meetings with specialists of the early modern period who will introduce to you the work of a famous scholar by whom they are inspired in their own scholarly work (Inspired by…). We are pleased to announce a special workshop with Professor Roland Greene (Stanford, English Department) on Friday, September 1st. Professor Greene will be our guest on that day for an informal meeting with PhD students and other researchers to talk about ‘How Poetry Remakes the World: Elegy and Epithalamion in Renaissance Poetics’. In the era of early modern humanism, classical lyric genres such as elegy and epithalamion not only follow received uses but become newly scripted as a negotiation between past and present. Concentrating on these two representative genres, this workshop is an experiment in a revived genre criticism that seeks to recover, in terms of indigenous to the period, how early modern poets and audiences conceived these and other genres at work in their world. After a short introduction by Professor Greene we will have a discussion about the above mentioned issues. In advance we will read an article of Professor Greene about the early modern elegy and literature as a negation between past and present. Participants also are invited to shortly present their own research projects and questions they are currently dealing with in the second part of the workshop. The workshop will take place on Friday, September 1st, 2-4 PM in the meeting room 110.060 (Blandijnberg, 1st Floor). You are most cordially invited to attend the workshop. Please confirm your attendance as soon as possible by sending an e-mail to Cornelis.vanderHaven@UGent.be .